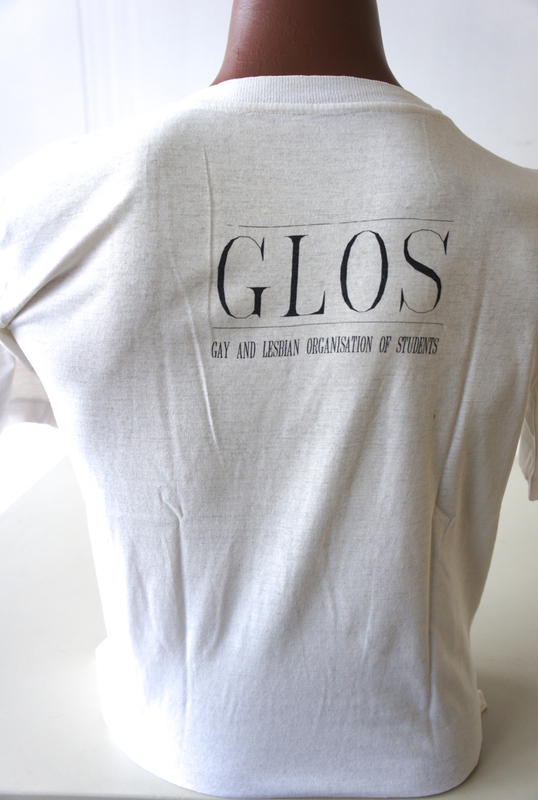 "Closets are for cloths not people	GLOS Gay and Lesbian Organisation of Students"
Two men marching holding a placard with "Closets…"
GLOS was the gay student organisation from the University of Natal. 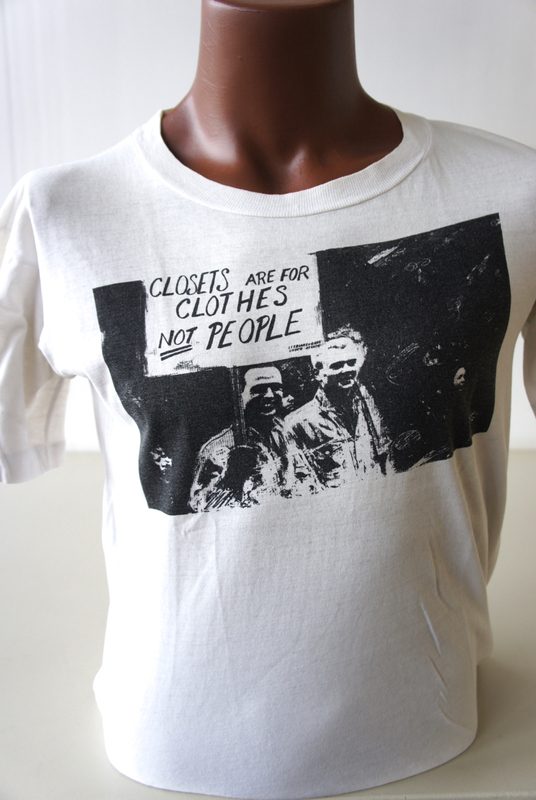 Reproduction and use of this material may require permission from the copyright holder. 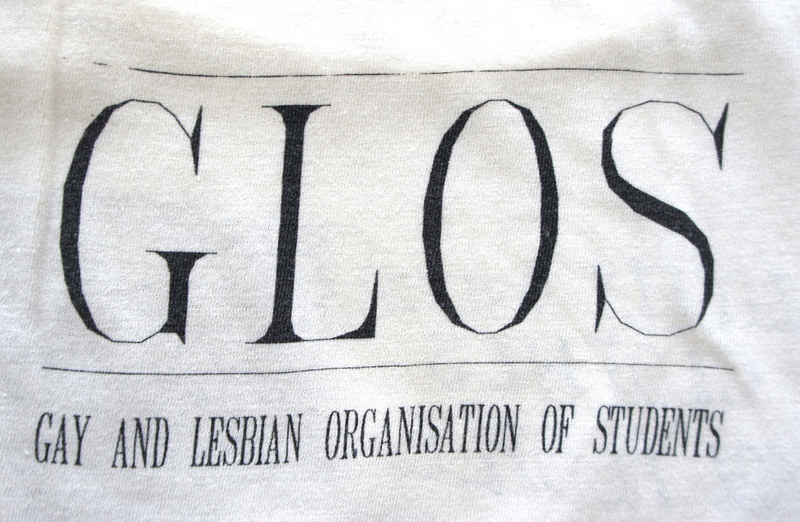 Please contact the GALA archives or Wearing Gay History for more information. 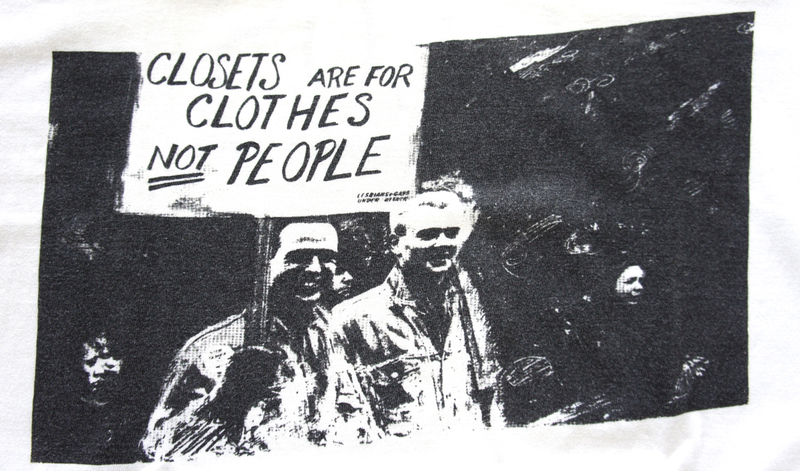 “Closets Are for Clothes Not People,” Wearing Gay History, accessed April 19, 2019, http://wearinggayhistory.com/items/show/3522.